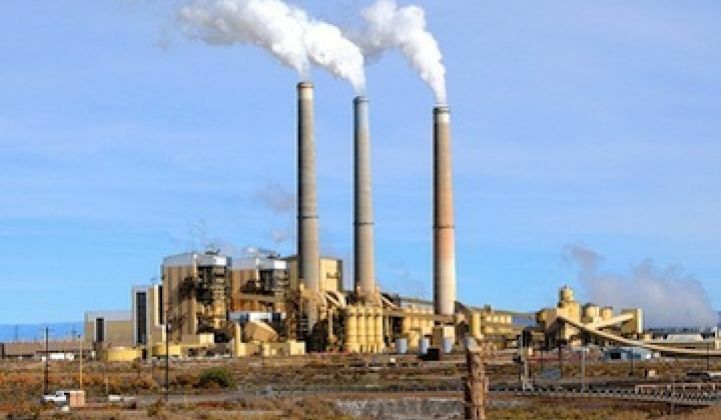 The Global CCS Institute says carbon capture and sequestration is falling way behind the pace at which it needs to develop in order to be a meaningful contributor to worldwide CO2 reductions. Is it time to stick a fork in carbon capture and sequestration? The case for CCS -- the process of grabbing the carbon produced from generating electricity from fossil fuels, and from a range of industrial processes -- has always been a little odd, predicated on the idea that it was unrealistic to expect immature and expensive clean energy technologies like solar and wind to shoulder the entire burden of reining in carbon emissions, particularly in developing countries. Yet CCS is actually way behind wind and solar and renewables as a viable option -- and it’s falling further behind the timetable advocates had set for it to be a real factor in the climate-change fight, according to a new report. The International Energy Agency has been counting on CCS to contribute 7 gigatons out of 42 gigatons in CO2 reductions under “2DS,” a least-cost scenario for keeping the global average temperature from rising more than that magic 2°C that climate people are always talking about. But with the passing of every new day, that scenario seems to get a little more shaky. So instead of 130 by 2020, we’re looking at maybe 51. Now, to be sure, the IEA is a big advocate for deployment of more renewables. But it’s hard not to wonder if its continued advocacy of CCS makes sense, given how scarce investment dollars are likely to be in the years ahead. It’s really expensive to get the carbon out of a coal plant flue, compress it to a supercritical state and send it underground to a spot that has been adequately studied to determine it can hold the stuff. We’ll let you be the judge of how likely that is.